The Significance of a Dog | Dude, Where's My Pancreas? We added a new member to our family this week. 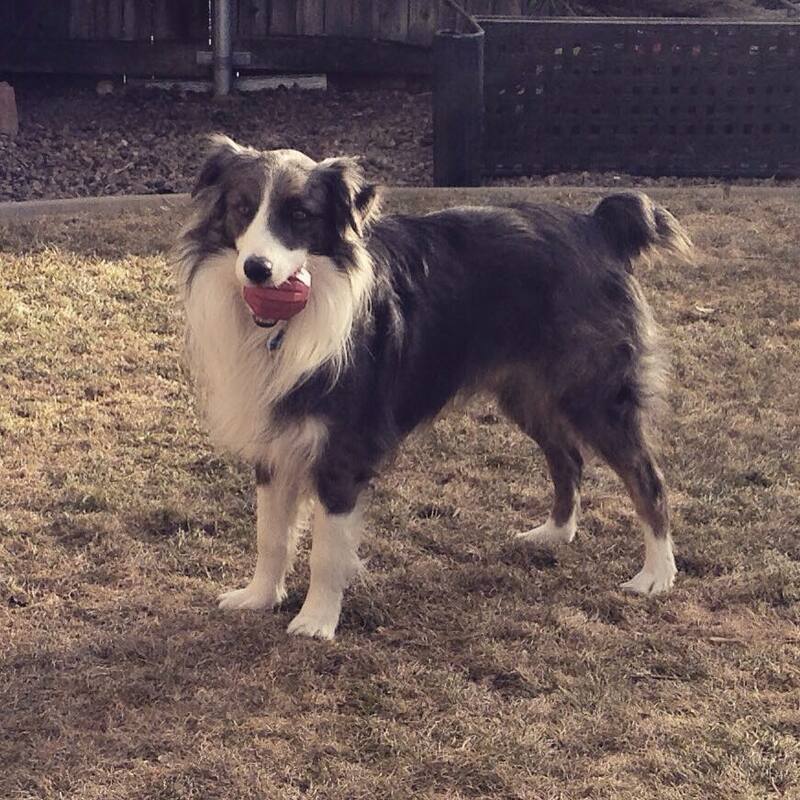 Meet Willy, the Australian Shepherd rescue. I recently have thought about how I spend a lot of time alone on the trails. 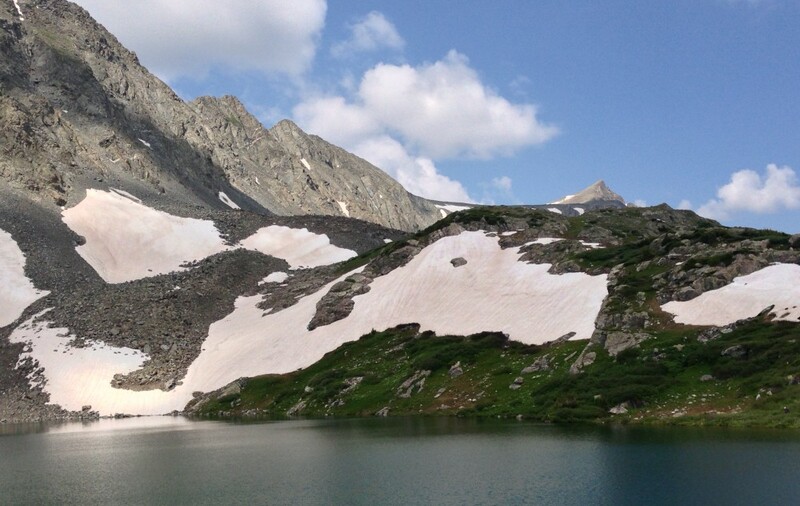 I never used to think twice about going out on the trails solo, but as of late, have been hesitant to do it. I wondered why I suddenly got spooked while out alone on the trails. Was I just getting wimpy? What has made the difference? 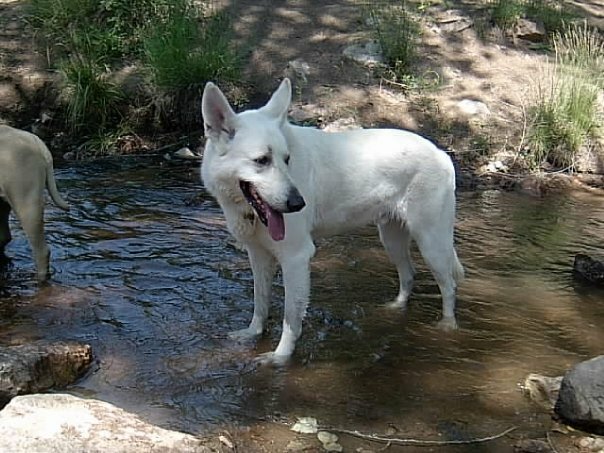 I thought back to when I first started running a lot of the more remote single track trails in our area and realized that I used to run with my big white German Shepherd, Klondike. He was my companion on my solo adventures and I never felt frightened or alone when we were together. Klondike was my best friend who went everywhere with me. I still miss him, even though he died years ago. While I know I cannot rely on a dog for protection, I just feel safer and more secure with a canine by my side. So I began the process of looking for a running companion. The dog would ideally be between 1-2 years of age, and of a breed that is built for the long haul. 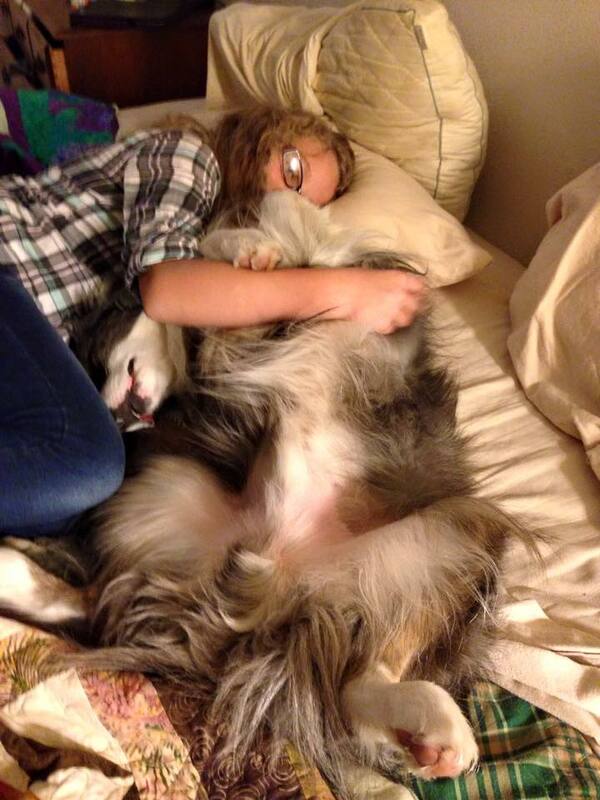 This brought me to the Western Australian Shepherd rescue organization. I filled out an application and we were matched with Willy (originally known as Riku, but he did not answer to that name). 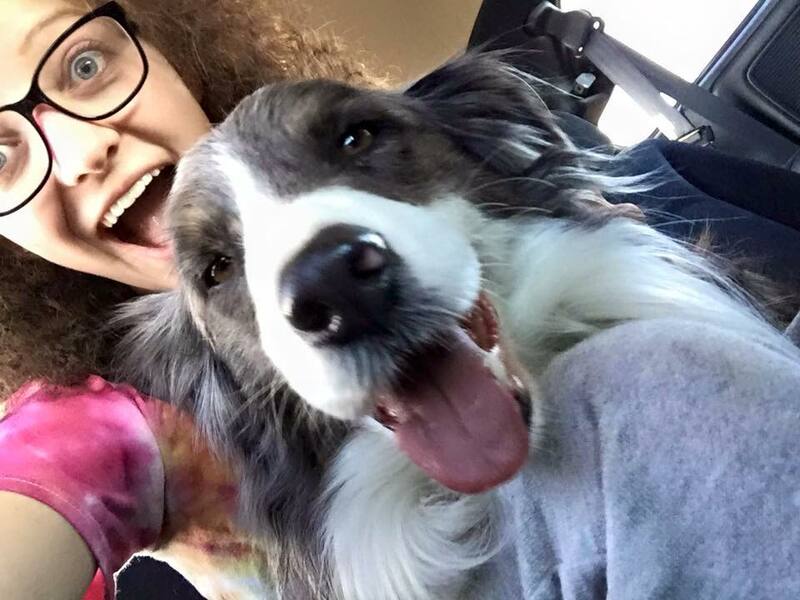 Willy was a stray that was found wandering the streets of Houston. He was brought north to Denver and lived with a foster family for 2.5 months. They kept getting lots applications for him because he is beautiful, but most of the people who applied had no understanding of the amount of exercise that this type of dog requires on a regular basis. Then we came along. I sent in an application that said I was looking for an intelligent and energetic companion. Soon, a match was made. Willy came home with us Sunday afternoon and has settled in well so far. He and I have developed a running routine already, which thrills me. He loves to run perhaps as much as I do.I know over time he will become the best running partner. It occurred to me after we got Willy and brought him home that there is something significant to my adopting a dog at this point in time. It means I am not putting my life on hold to see if I will be well long-term. It means that I am confident about my health and my future. It means that I have let down my guard enough to stop wondering about the “what ifs” everyday. In fact, I now rarely ever think about my cancer coming back. I would not have adopted a dog if I thought I might be too sick to care for it properly. I thought for a brief moment, “What if I have a recurrence?” But, I immediately put that thought out of my mind. It is not going to happen. We will be OK. Adopting Willy means that I just know that I am going to be fine. My heart feels happy and whole. Welcome home, Willy. 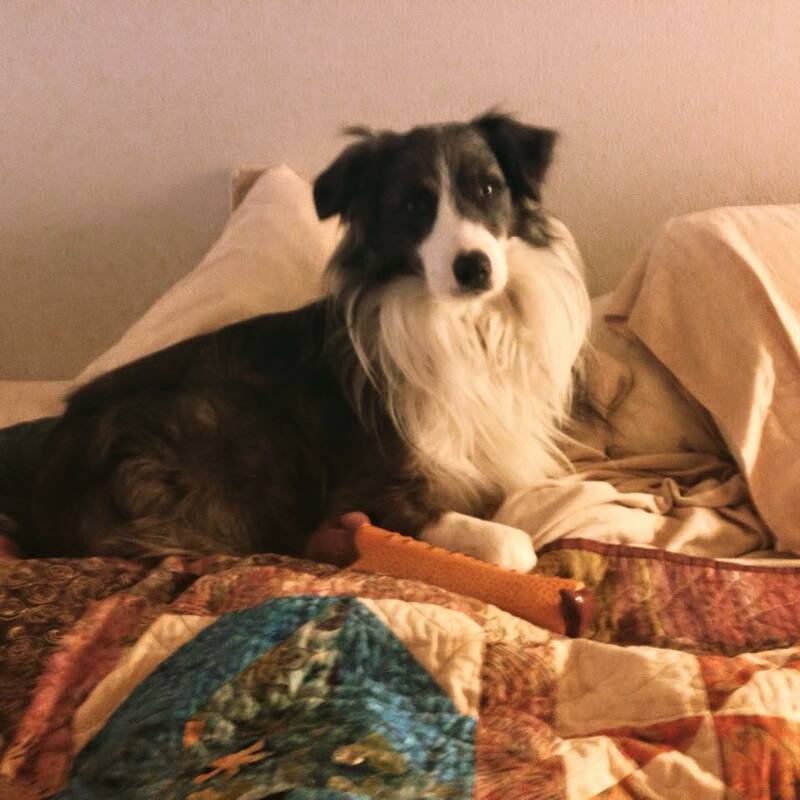 This entry was posted in Cancer, Family, hiking, Pancreatic Cancer, Pets, Running, Survivorship, Trail Running and tagged #AustralianShepherd, #cancer, #dog, #family, #hiking, #home, #pancreaticcancer, #running, #survivor, #survivorship, #trailrunning by toniasmith897. Bookmark the permalink. Brendan, we are both very lucky people! Much love to you! I absolutely love this. You and Willy will be fine. Thank you, Becky! We will indeed! We’ve had 2 GSDs over the years and with one of them around never did I question my safety. If Dave had to travel I was perfectly fine to be alone with the boys. Many moons ago, after a walk with a friend we were stopped by a group asking us if we had seen a flasher. No, no we hadn’t. They described the man (I remembered him because he didn’t make eye contact.) We both had dogs with us. I think dogs make people think twice. Even the littlest ones will protect owners. In any case, congratulations on the new dog. Willy will make a fine member of the family. Cheers to a dog! There is something imposing about a GSD! As much as I love and miss Klondike, I knew a GSD would not be the best breed to put up the kind of mileage I am planning to run. Hence, the Aussie. But, I definitely think that a dog, any dog, would make someone think twice about approaching a woman. Hooray for Willy and for your attitude, that you are here for the long haul and don’t need to think about reoccurence.